Before there was Rush Limbaugh and Fox News, there was Pat Robertson and The 700 Club. That is this book's thesis in a sentence. For those unfamiliar, The 700 Club is a show on the Christian Broadcasting Network that has been on the air since 1966, serving as that network's flagship program. It presents itself as a news program, yet often features commentary with a heavy evangelical Christian bent on many of its stories. Pat Robertson, a longtime face of the Religious Right, has always been its star. You may remember him for his statements such as blaming 9/11 on feminists, saying Haiti made a pact with the Devil, and calling Muslims Satanic. And yet, according to The Gospel of Self: How Jesus Joined the GOP, whether these statements had any basis in fact has always been less important than how they help shape the worldview of millions of people who watch his program every day. The factual nature of these commentaries comes in second to the truth that people who identify as evangelical believe, which in turn will cause them to vote for certain people and support or oppose certain causes and issues. Terry Heaton was a producer on The 700 Club off and on in the 1980s. He was Robertson's right-hand man during his time there, and as a member of the inner circle was privy to many of the decisions made about the program around that time, particularly when it came to having the show shape viewers' perspectives during the height of the Reagan era. While Heaton voices many regrets and describes his evolution of thought after his time there ended, he doesn't present Robertson or the show in a completely negative light. He's able to hold his feelings at the time, including a genuine love and respect for his coworkers (including his boss) in tension with what he can now see he contributed to. He describes moment after moment of his and others' intentions to shape the show's format as not only presenting the news, but also telling people how to feel about the news. Occasionally this would involve "Bible-based" commentary on how certain stories were contributing to the downfall of Christian morality in the U.S., at other times it would come with calls to contact Congresspeople to tell them what they thought. This latter tactic became part of the cause for an IRS investigation in the late 80s. Heaton is able to show how tactics like these were the precursor for the Right-Wing punditry with which we are familiar today. He suggests that The 700 Club opened the door for the continual bombast by Fox News and conservative news websites that are less interested in presenting facts and more interested in presenting a certain way to think about and respond to them. People have become less interested in finding out the truth, he says, than finding sources that will reinforce the opinions that we already have about it. The book makes it difficult to judge whether Robertson is a True Believer or a master manipulator. At one point, for instance, Heaton describes an instance where Robertson returns from his yearly prayer retreat stating that he sees "darkness and trouble" coming near the end of the following year. In fact, he pretty much makes this his theme on the program for many months. As it happens, this is in the run-up to the 1984 presidential election, where Reagan won in an historic landslide. Did Robertson's constant drumbeat of "darkness and trouble" help motivate conservative voters to the polls in an effort to prevent his dire prediction? And did he truly believe something was coming, or was it the tactic of a showman to influence viewers? For his part, Heaton leaves the question open. He seems to have retained a belief in prophecy and other charismatic gifts, as well as a love for Robertson. But he's also able to acknowledge how the show and its host have helped re-shape politics and media for over a generation. 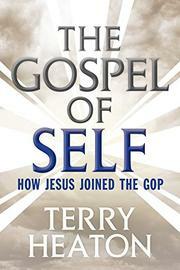 I found The Gospel of Self to be informative, insightful, and eye-opening. It shows, as the quoted part above notes, how The 700 Club paved the way for the frustrating reality in which we now find ourselves. It is a reality with lines blurred between fact and feeling, between news and entertainment, between anchors as presenters of information and as shapers of opinion. Heaton still seems to want to believe the best of his former employer, but he knows that we're worse off as a result of what they started.